Book Review: 'Imagine Me Gone' By Adam Haslett Adam Haslett's new novel focuses on a family tormented by father-and-son battles with chronic depression and anxiety. He captures the lasting reverberations of suicide with precision and tenderness. Mental illness has long been a mainstay of literature, from Don Quixote and Jane Eyre to Mrs. Dalloway and Madame Bovary. And why not? It's interesting. Novels like Crime and Punishment and The Catcher in the Rye find cultural insights in the tumult of nonconforming, besieged minds. Others, like Jeffrey Eugenides' The Marriage Plot and Walker Percy's The Second Coming explore the devastating toll of mental illness on loved ones. Beginning with his bestselling story collection, You Are Not a Stranger Here (2002) — which was a finalist for both the Pulitzer Prize and National Book Award — mental illness, close sibling bonds, and parents lost to suicide have been central to Adam Haslett's fiction. His first novel, Union Atlantic (2010), ambitiously added a scathing takedown of morally bankrupt, rapacious financiers into the mix. In Imagine Me Gone, Haslett focuses tightly on a family tormented by father-and-son battles with chronic depression and anxiety and their attempt, through it all, to answer the question of what constitutes a good, meaningful life. Although by no means a light or easy read, Haslett's new novel forcefully demonstrates that he is unrivaled at capturing the lasting reverberations of suicide and the draining tedium and despair — along with the occasionally fabulous flights of fancy — that accompany intransigent mental illness. And he achieves this with an extraordinary blend of precision, beauty, and tenderness. The book is narrated by five family members: a British-American couple, John and Margaret, and their three grown children. We learn early that Margaret chose to proceed with her marriage to John even after unexpectedly learning about his history of severe depression during their engagement. We also learn that their eldest son, Michael, manifested a "ceaseless brain" and obsession with the plight of slaves even as a child, while their daughter Celia began showing mature coping skills at an early age. Celia recalls the time her father cut the engine and played dead on a small boat in Maine, testing her and her younger brother Alec with the challenge, "Imagine me gone, imagine it's just the two of you. What do you do?" Celia kept her cool and reassured her panicked brother to regard it "like a safety drill at school." Over the years, the family is put through multiple emotional and financial tests that are far more alarming than fire drills. Haslett's prose rises to the challenge, lushly capturing the dense fog of depression that blankets John and occasionally lifts just enough to reveal the "beast" moving in on him. But Haslett really shows his chops channeling Michael's amped up voice, with his obsessive riffs on the "trans-generational haunting" of slavery and trauma, "the long half-life of Dad," and the narcotic power of mixtapes — "the line of flight out of the trap of language." Haslett cleverly reveals Michael's psychological history through a facetious patient intake form that lists his treatment goals as "1. Ordinary unhappiness 2. Racial justice." As for his pharmaceutical history, Michael quips that one doctor "put me on enough uppers to cheer a POW ... It was like getting a root canal while vacationing in the tropics." Wit aside, unquiet minds can make for disquieting reading. Early on, when the bleak intensity and coincidental similarities with the family dynamic in Ethan Canin's recent novel, A Doubter's Almanac, hit hardest, I needed to take frequent breaks. But I got caught up in the beauty of Haslett's sentences and the lives of these oh-so-human people bound by shared duress and cycles of hope. 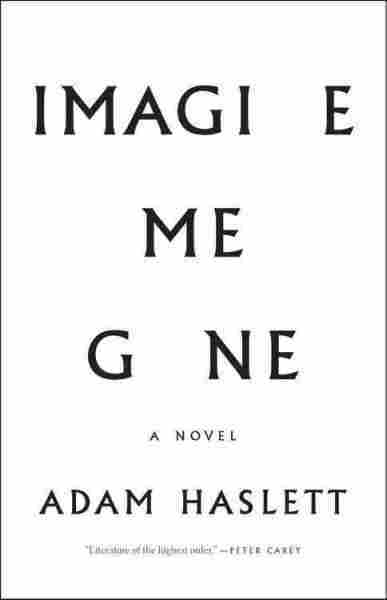 Haslett's signature achievement in Imagine Me Gone is to temper the harrowing with the humorous while keeping a steady bead on the pathos. You want sympathetic characters? You want a narrative that showcases love as a many-splendored thing capacious enough to encompass stalwart, long-suffering spouses, loyal siblings, suffocatingly obsessive crushes, and casual, noncommittal relationships (both gay and straight) that morph as if by magic into soul-sustenance? You want writing that thrums with anguish and compassion? It's all here.